The 2017 X4 M40i is a new wave for performance vehicles and should tempt some casual M3 buyers who aren't necessarily looking for serious track capability. The 2017 BMW X4 is an alternative approach to tall-riding SUVs, if you can even call it that. The 2017 BMW X4 is a nice thing. Describing it any further requires a little understanding and a break with conventional rules. 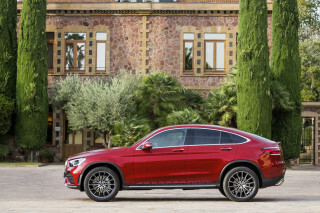 It's not a coupe, and it's not much of an SUV. It's not a tall wagon, and the X4 certainly isn't much of a sedan. Like its bigger sibling, the X4 purposely gives up some of its functionality in the name of fashion. BMW planes down the rear end of the X3 to give the X4 a more curvaceous and gracious profile—and on first glance, the X4 does a better job of tailoring its duds than does the bigger X6. As you spend more time with the X4, the design's flaws become more noticeable, especially its thick rear haunches. Other details seem to work even better, like the break in the shoulder line, and the break of the C-pillar, which BMW means to hint at the X4's performance capabilities. Inside, the X4 offers a similar design to the X3, with aluminum and wood trim—or a choice of an M Sport or an xLine package. The M Sport adds special paint choices, M-badges interior trim, bigger wheel-and-tire combinations, and sport seats; xLine does the same visual changeup, with a glossier bent. The powertrain lineup has been simplified for 2017. Two engine options are available, both paired with all-wheel drive, which BMW calls "xDrive." The base powertrain is a sweet-spinning turbocharged 2.0-liter inline-4 that's rated at 240 horsepower and 260 lb-ft of torque. That's potent enough for a run up to 60 mph in six seconds on the way to a top speed of 130 mph. The uprated engine is the potent turbocharged 3.0-liter inline-6 that makes 355 hp and 343 lb-ft of torque and blurs the X4's genre—it runs up to 60 mph in 4.7 seconds—and blurs reality a little. Last year's lower-output inline-6 in the X4 xDrive35i has been dropped from the lineup. Both engines this year are paired to a smooth shifting 8-speed automatic. BMW's xDrive system splits power 40/60, front to rear, but can send 100 percent of the power to the rear wheels as traction varies. A performance controller can split torque between the rear wheels to help cornering and overall stability, provided you're brave enough to push a 5,200-lb. 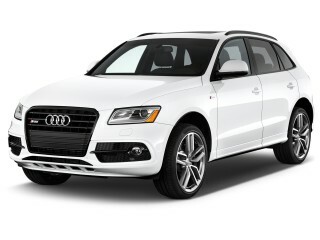 SUV to the limits of traction. But it's clear that BMW's xDrive in the X4 is performance oriented—not ready for off-road duty. The X4's variable steering program shifts through different programs that includes green, comfort, and sport modes. Four-wheel independent suspension tries to relay those commands to the road as effectively as possible, without too much drama. The X4 M40i gets its own calibration for its all-wheel-drive system and automatic transmission, a sportier suspension tune, quicker steering, 20-inch wheels, and a sport-tuned exhaust system with a resonator that pumps some engine noise into the cabin. We've driven the X4 around town and through the Rockies at length and found few differences between it and the X3. The X4 is only about a half inch longer than the X3, but 1.5 inches shorter. It's center of gravity doesn't dramatically change—the driver still sits on top of the bulk of its weight, rather than between it—from the more conventional SUV. The X4 is athletic for its size and doesn't have much discernible nose dive or exaggerated body motions in corners. Like the X3, the X4's braking leaves something to be desired, it's not as quick and it's the one place where the X4's mass becomes immediately noticeable. The M40i adds uprated front anchors over the xDrive28i's 12.9-inch rotors to arrest forward motion, but the base car still suffers from a lack of stopping power. The X4 does best in Sport mode when equipped with adjustable dampers ($1,000 on the xDrive28i, standard on M40i), which can also cycled through Normal and Sport Plus modes. The driving modes also modulate throttle tip-in, transmission shift points, and steering feel. The compromise for the X4's faster roofline comes in interior packaging. The X3 is a bona fide five-seater, but the X4's deeply contoured buckets prioritize four passengers. Head room in the rear seats is predictably compromised, and its cargo capacity is cut from the X3's 27.6 cubic feet down to 17.7 cubic feet. The X4 shaves a couple inches of leg room from rear passengers from the X3, but six-footers can fit in the back—just. The X4 is marginally more useful than the Porsche Macan, and two travelers won't struggle on weekend trips for comfort and cargo capacity. 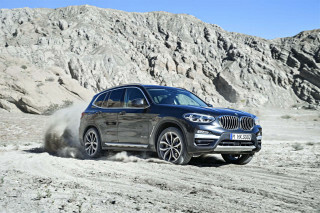 No official safety data is available for the X4, but the mechanically related X3 has been a relatively solid performer. Federal testers have rated that model with five stars overall, including a four-star rollover protection rating. 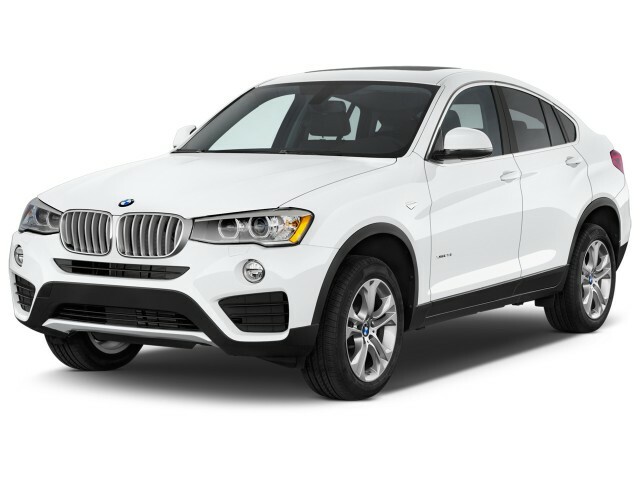 The X4 includes plenty of airbags, and options for adaptive cruise control, a forward-collision and a lane-departure warning system, and BMW's bank of surround-view cameras. Parking Assistant lets the X4 steer itself into parallel parking spots while the driver attends the controls as a backup. All X4s come standard with adaptive headlights, keyless entry, paddle shift controls, sport steering, rear parking sensors, and a leather-wrapped steering wheel. BMW's iDrive and the high-contrast, wide-view screen are standard on the X4, while navigation is an option. When it's fitted, the iDrive controller also gets a touchpad surface, so destinations and other inputs can be entered as handwriting. 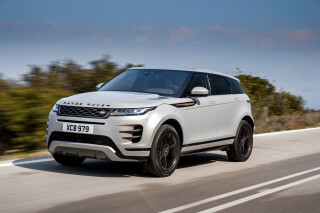 Other standard features include a synthetic-leather interior (the real stuff is a $1,450 option), steering-wheel multi-function controls, wood trim, a power tailgate, Bluetooth and USB connections, automatic climate control, and power front seats. Options on the xDrive28i include the M Sport ($2,300, with sport seats, sport steering wheel, aero kit, and higher top speed) and xLine ($1,500, including 19-inch wheels and gloss trim) appearance packages. Both X4s can be fitted with a cold weather package ($950) that adds heated front and rear seats and a heated steering wheel. A technology package ($2,700) adds navigation and a head-up display along with BMW's suite of connected apps, and a driver assistance package ($1,700) adds a surround-view camera system and blind-spot monitors. A Harman Kardon sound system is standard on M40i models and $875 on xDrive28i models. Pricing for the 2017 X4 xDrive28i starts at $46,245. The 2017 X4 M40i starts at a breathtaking $58,795. 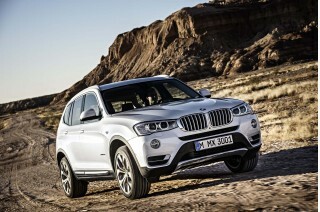 EPA ratings for the X4 predictably follow the X3. The xDrive28i manages 20 mpg city, 27 highway, 23 combined this year, according to the EPA. The 2017 M40i has been rated at 19/26/21 mpg. I tried to talk my wife into getting a BMW X5 or X6 M version...she thought they were too big (she just gave up a 328i)...so, I couldn't fight her. We recently got an X3 as a loaner and it just didn't work for... 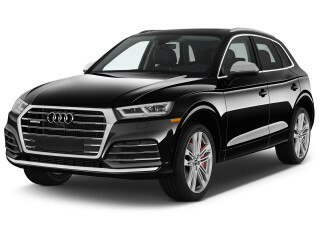 I tried to talk my wife into getting a BMW X5 or X6 M version...she thought they were too big (she just gave up a 328i)...so, I couldn't fight her. We recently got an X3 as a loaner and it just didn't work for us...I still think the X3 is a bit top heavy and underpowered... 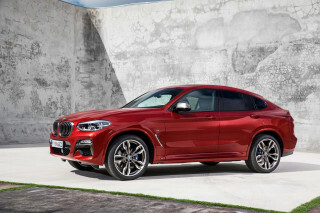 So, we test drove an X4 28i...she liked it...I was left sitting in the passenger seat in tears...feeling like I was being neutered. Then, seeing an M40i - I asked if I could test drive it. Needless to say, I bought one two days later. For reference here is my BMW Pedigree... 1999 BMW M3 Convertible, 2003 BMW X5, 2011 BMW 535i (she just sold her 2008 BMW 328i)...I've also owned a Range Rover HSE and and Mercedes 350ML. (The 535i is my daily driver). The growl is great...it's subtle and can be somewhat pronounced (not like my M3 with catback exhaust, but still enough to be proud). In sport mode it hits 0-60 in 4.7 seconds. I.e. this suburban cross between an m3 and x3 is the perfect step between. I don't think its a full "M" car, but it is a blast to drive. I hit some big S turns at 80-90 miles an hour and it did corner better than her 328i (sport and premium package)...it's not an X5 M, but it's also 40k less. 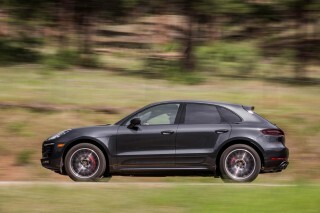 Its funny to watch a Porsche Macan S bow down...and to walk on the SQ5. Still haven't bellied up next to the Jaguar F Pace, but I think its almost a full second slower. 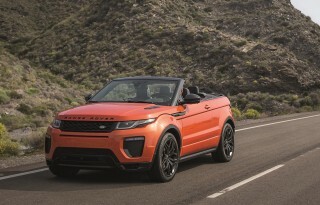 -I did not experience as much roll as I thought I would...and because it has X drive, going up a winding hill is a blast...This car is a perfect compromise for an SUV (and a rocket when you want it to be). BMW hasn't made too many of the X4 M40i's, but it is the perfect car for getting groceries - while maintaining the "FUN" of driving an M. It won't take much to get it to get into the low 4's, but don't want to void the warranty. Car should be strongly considered as a top 1-2 for Compact SUV. 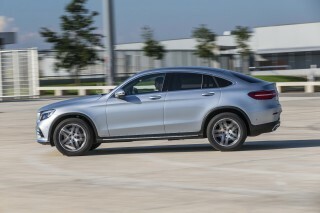 MUCH more solid the amg glc43. For the record... 2017 0-60 times per Car and Driver w/ tested price. I toss out the Mercedes after I did more than $25k in damage to an ML350 when it wouldn't stop sliding down an icy hill and hit a suburb at less than 5 miles per hour. Yes, it was totaled. I also threw out any Range Rover after I found out you have to pay for much of the maintenance (like oil changes)...and the Range Rover I had was literally the worst vehicle I've ever owned...cost a ton in lift air bags to sell it. My personal choice...I have never liked Porsche as most people who drive them are pricks.